Auto Review has often managed to cover an entire marque history in one volume which at first sight seemed too big for a single publication. At other times the task has been too difficult, so if there is a logical division we try to split a story over two or more volumes. That is the case here; Ferrari has been divided over two Albums, this one devoted to road cars, AR151 to competition cars. As any enthusiast can tell you, this is not a totally clean and clear division. Yes, monoposto Formula cars obviously fall on to one side, and luxury road cars on to the other. But many Ferrari Grand Touring road cars were produced in quantity purely to qualify for GT sports car races, and on the other hand, many Ferraris intended to be road-going sports cars were subsequently raced. This means that the line between road cars and competition cars is more blurred than we might like, so some car models will feature in both Albums. The story runs from Enzo Ferrari’s early days as a mule farrier in the Great War, to Scuderia Ferrari, racing Alfa Romeos between the wars, and running his own firm after the Second World War. Enzo wanted to race his cars in his own team, but he was a businessman who realised that in order to finance his dream he needed to sell cars to others. Initially these were competition cars supplied to other entrants, then road-going cars. Ferrari always made as much as possible in-house, so that he had control of quality standards. This meant the firm producing its own chassis, engines, gearboxes and bodies, though many touring cars were subsequently bodied by the leading coachbuilders of the day. The Ferrari name grew in prestige, and though Enzo died in 1988, the marque he created continued to thrive into the 21st century. 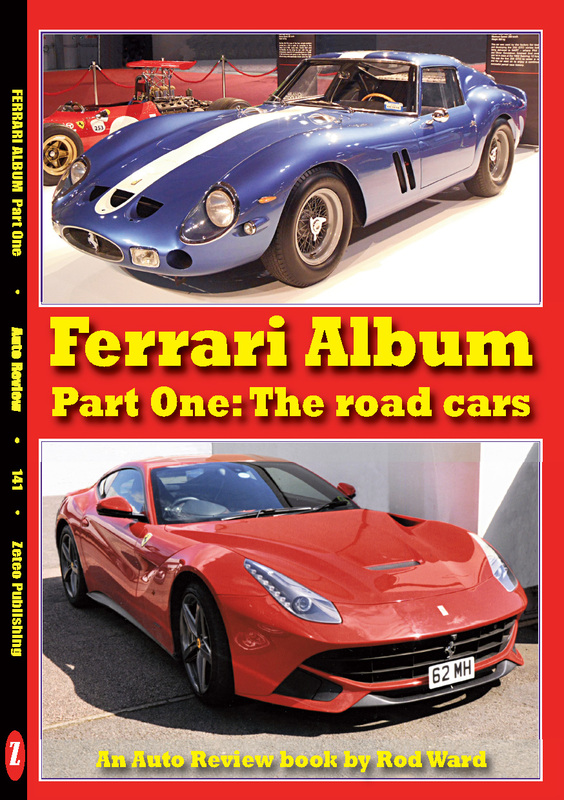 There have been hundreds of books on Ferrari; most enthusiasts will have some on the shelf, such as La Ferrari by Rogliatti, and Enzo’s 1964 auto-biography. One of the most treasured books in the author’s collection is Piloti Che Gente by Enzo Ferrari. We have not tried to compete with any of these superb works; instead we just hope to offer a concise introduction to this fascinating subject.